So I know this has been a long time coming, travel posts, particularly vlogs take so long, and it’s taken me a while to really get stuck in. If you’ve been following me for a while, you’ll know that every summer for the past number of years we’ve done “a big trip”. This year though, our group of friends all agreed that we all just needed a more relaxed summer break. Don’t get me wrong, seeing far-flung places is my absolute favourite thing to do, but it’s not easy – they require planning, and don’t usually involve much down-time while there. In Columbia the year before, we took 12 flights in 17 days! Anyways, this year we all needed sun, relaxation and no long-haul flights with jet-lag! 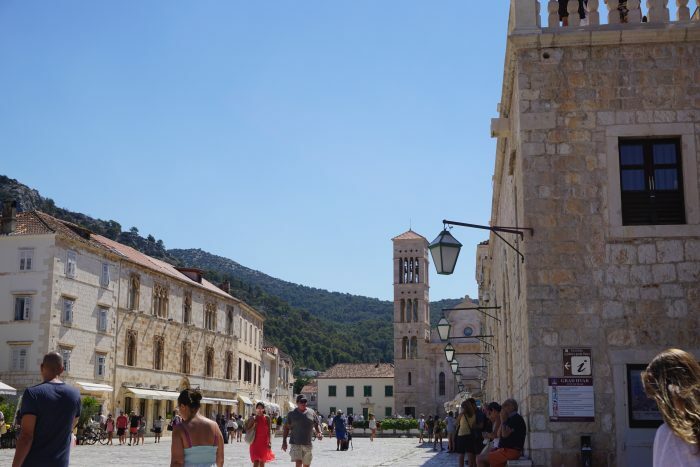 We all agreed Croatia was the place to go – and it didn’t disappoint. In this travel guide I run-through the things we did and where we went. Now, we took a lot of time out – many days we did nothing but I’ll include where we stayed, the companies we used and our highlights! There’s also a short vlog at the bottom of the post if you want a tour of our villa and a little peak at some of our day-trips! 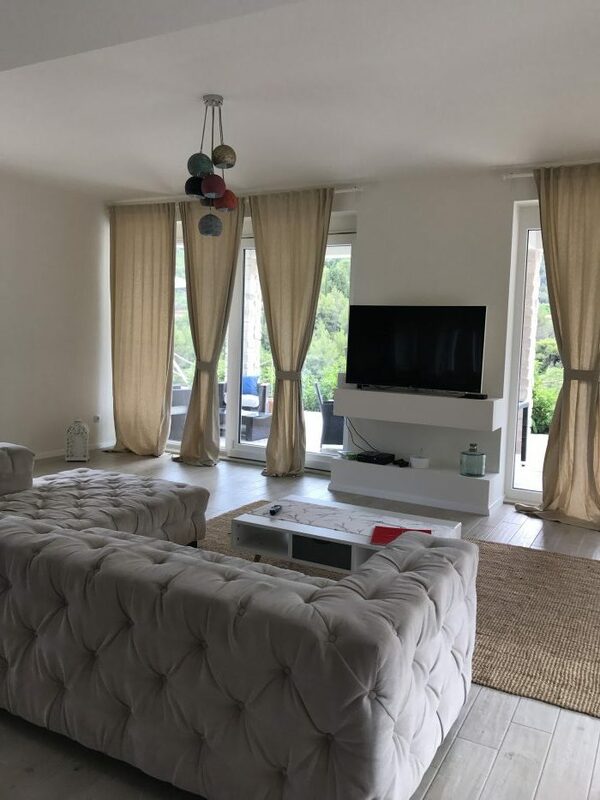 Villa Allure Luxary Apartments – we booked through Booking.com. 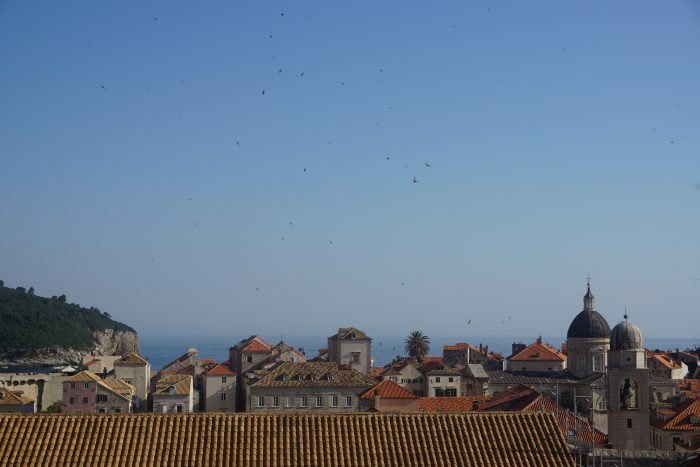 We got so lucky with this apartment, when we arrived, they told us that because there were 6 of us, they were putting us in the new apartment – it was the dream, walking distance to the Old Town and the interiors were incredible. There was no pool but we only stayed here for 2 nights and went to the beach which was really close. 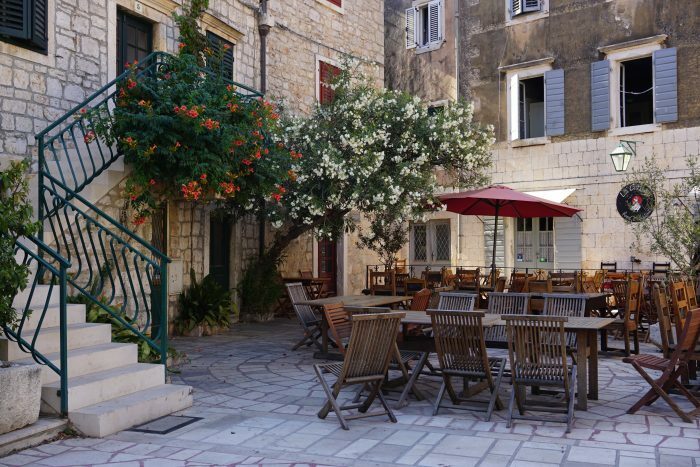 There was also a balcony that we chilled on every morning.We spent 2 nights in Dubrovnik, then headed to Hvar for 4 nights and back to Dubrovnik for the last night before we headed home. 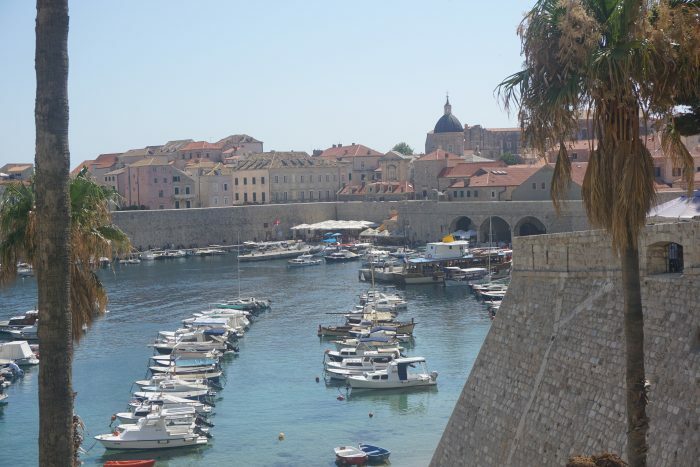 City Walls – you access the City Walls from the Old Town, it’s an absolute must-see. You see the whole city from a-top the city walls. 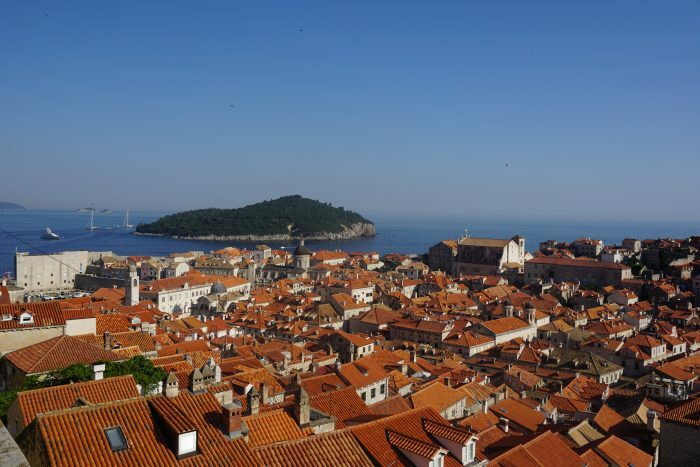 Terracotta roof-tops and blue waters for miles – breath-taking! 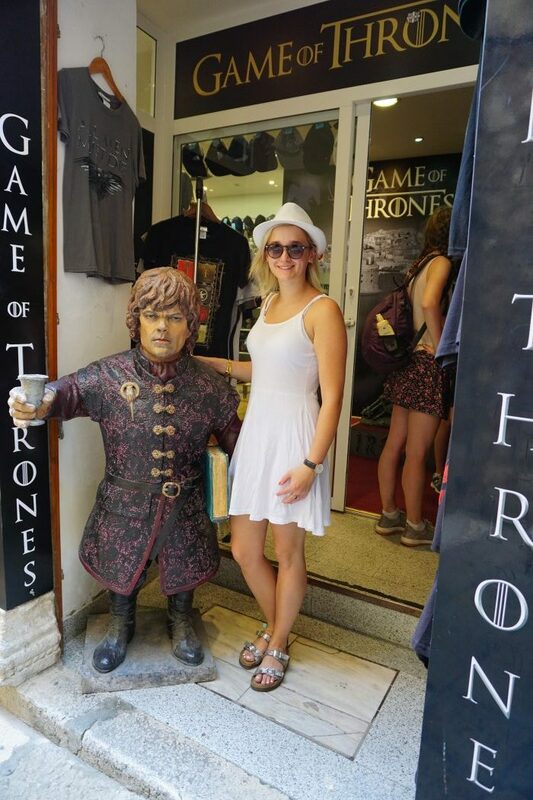 Any Game of Thrones fans will love walking around the old town, it’s exactly how you’d imagine it – almost artificial looking, it’s that strikingly beautiful! Banje Beach Bar – this day kind of just happened, we were only meant to spend a few hours at the beach and go to the highly recommended Coral Beach Club, we didn’t quite get that far though – we spent the entire day (and night) here and had the best craic! We made friends, danced and, well, the rest is history! This won’t be for everyone, and it was probably because we made our own fun but it deserves a mention either way! Make sure you barter for the beds – we got them much cheaper than they were advertised for! We also had dinner here and the food was quite good! 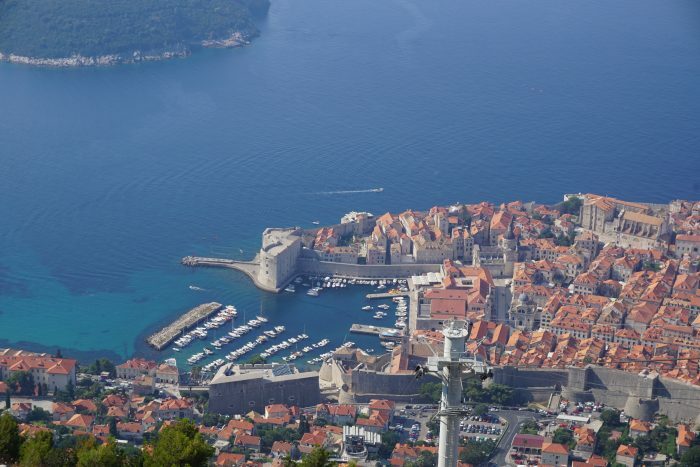 Dubrovnik Cable Cart – Alex and I did this on the last morning, before flying home. 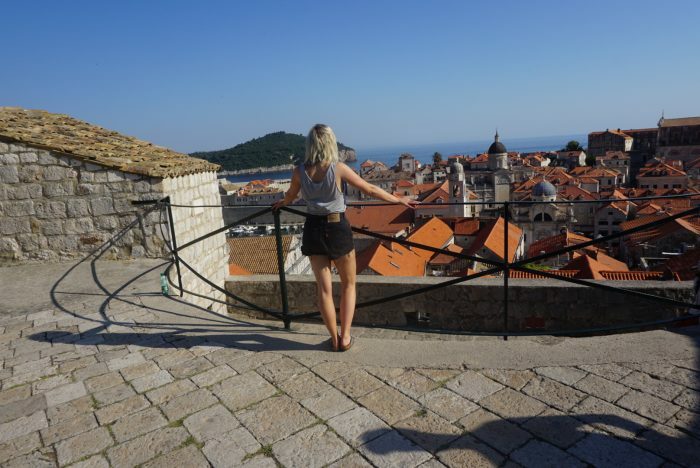 I’m so glad we did, the views of the city and Lokrum were absolutely stunning. Price: €20. 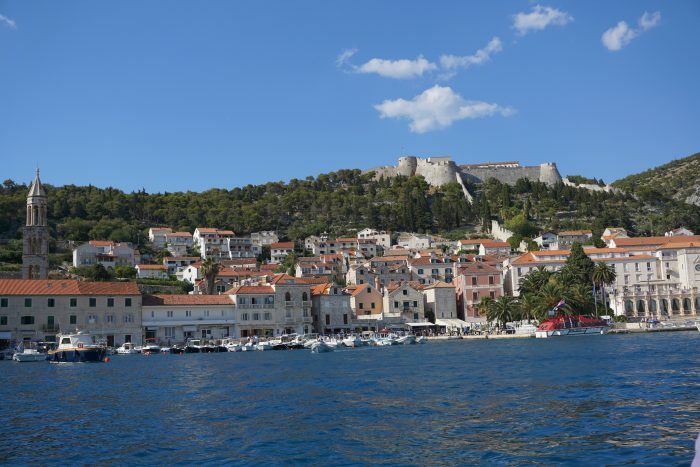 We took the ferry from Dubrovnik to Hvar we booked our tickets here – Jadrolinija. We pre-booked this, thank goodness, because it’s pretty busy. At the time of booking, there was a slow ferry which took 4 and a half hours for about €16 or the fast one was €50 for 2 hours. We were only there for a week and we all hate boats, so we opted for the fast one! If I could give one piece of advice for taking the ferry it would be to arrive at the port well in advance of time, we managed to get on first and get seats, but most didn’t. Our ferry was at 7.15 a.m. and we arrived at the Port before 6 a.m. The crowds arrived soon after and we had to perform ninja moves to keep our spot and claim seats! 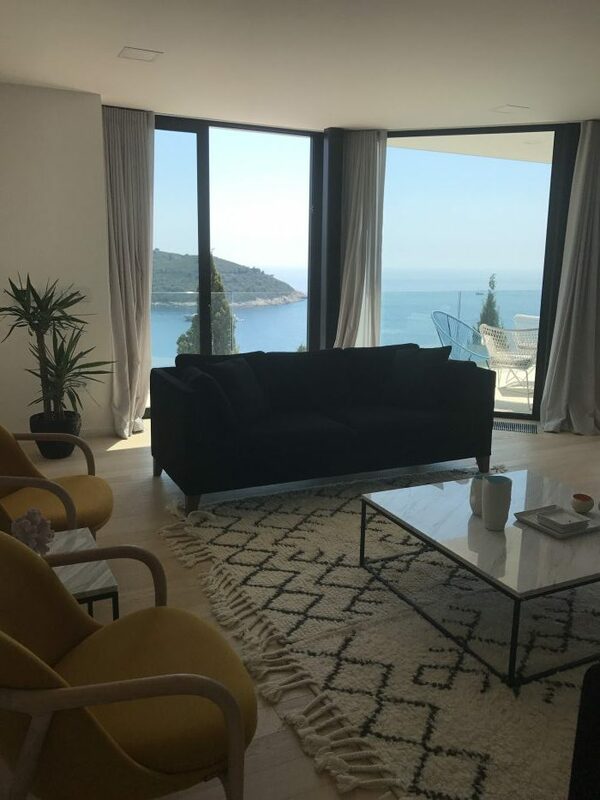 We were so late booking accommodation in Hvar, that we were left with slim pickings, in the end we went with the incredible villa outside Jelsa town. Villa Anouk – This villa was quite a bit outside of Hvar, about €60 each way in a taxi, so definitely not an option if you intend on going out quite a bit in Hvar. There were 6 of us and we just partied in the house most nights so this wasn’t a huge issue for us, and we were so happy with our accommodation that it made up for it. 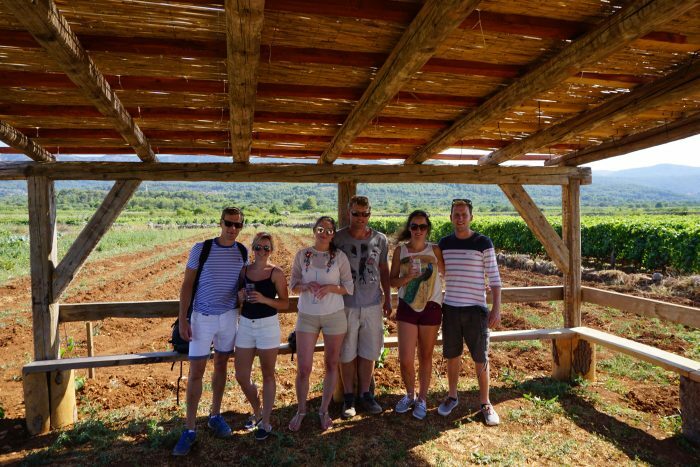 Day-trip to Mlini Beach – we took this trip from one of the little boat companies in Hvar Port. We were supposed to be going on the Blue Cave trip on this particular day, however, due to wind at sea this trip didn’t go ahead. Mlini Beach was such a lovely way to spend a day though, the bluest and most crystal clear waters. 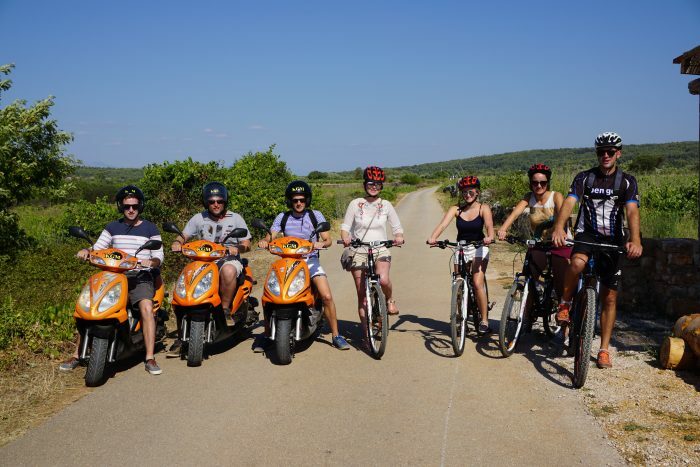 Cycling Tour Around Hvar – I know what you’re thinking – a cycling tour?! Honestly though, this was our absolute favourite day. The young couple that run this company are so passionate about what they do, they completely tailored the day to our needs. This mainly involved the fact that the guys refused to cycle and hired scooters, Grgo found it hilarious, and said it was definitely a first but completely made it work! 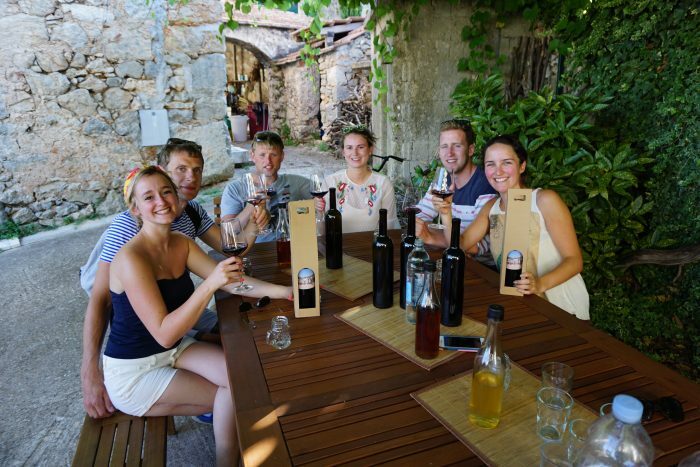 I cannot recommend them enough, after the cycle they brought us back to their family home where they have been producing wine for generations, the presented us with a bottle of wine each, with a photograph of us that they’d taken at the beginning of the tour as the label. 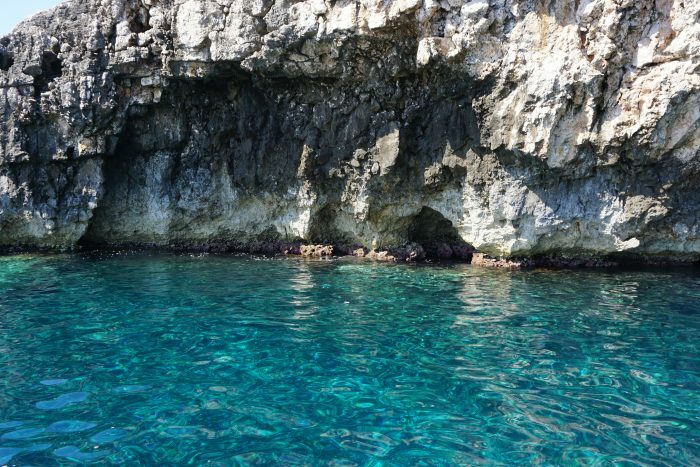 Blue Cave and Green Grotto – in the end we ended up hiring a private boat for the six of us. Again, be sure to barter as they will reduce the price. – Be prepared for the stoney beaches! While the waters in Croatia are so blue and are the clearest you’ll ever see, almost all the beaches are stones or pebbles. You can buy little beach shoes everywhere, they’re not the most attractive things you’ll wear but are kind of essential if you want to swim or walk along the beach. – Try the seafood! The seafood is incredible, if you don’t eat seafood, then this is definitely the place to try it, you won’t be disappointed! – Be prepared for the heat during July – we love the sun but even for us it was hot! It never dropped below 33 degrees before 6pm, some days it was up to 39 degrees! It was intense and if the heat isn’t for you, off-season might be a better idea! – Price around, we couldn’t believe the difference between companies. 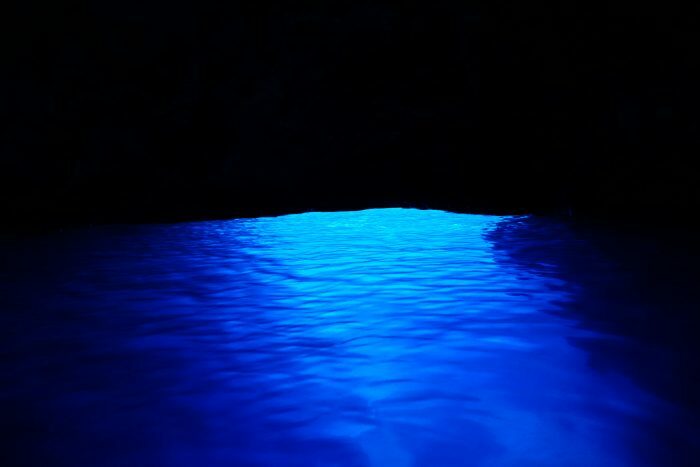 With the boat trips, we hired a private boat to the Blue Cave with one company for cheaper than a large group trip with another. 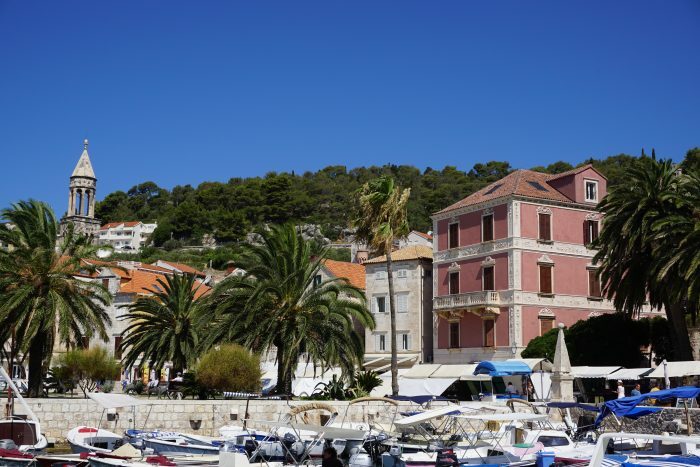 – Croatia isn’t cheap. Over the last few years, we’d become used to eating like Kings for little or nothing but Croatia is definitely not in this category. I’d consider food prices to be quite similar to most European countries like Italy and Southern France, maybe just a little less expensive, but not much. 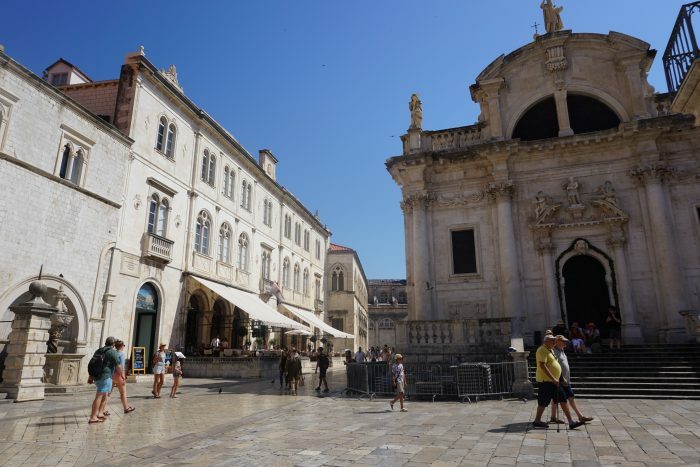 I cannot praise Croatia enough, it is genuinely such a beautiful country, be ready for beautiful old cities with gorgeous architecture and picturesque coastlines. If there’s anything else you’d like to know or have any questions, don’t hesitate to get in touch either on Instagram, Facebook or comment below. I’ve made a short travel vlog of our week too, if you’d like to watch! P.S. I’m considering doing a bit of a travel series on here, there are so many places that I’ve never wrote about, but I’d love to know if it’s something you’d be intersted in. Please let me know!